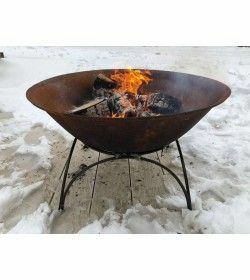 BBQs & fire pits There are 10 products. 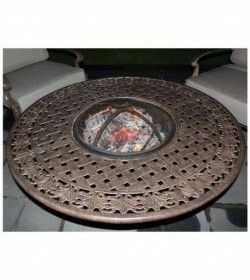 With an ornate, painted framework as a base they look great in any outdoor setting and are designed to age with different levels of oxidation meaning they take on a completely individual feel over time in different environments. 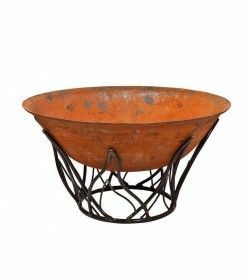 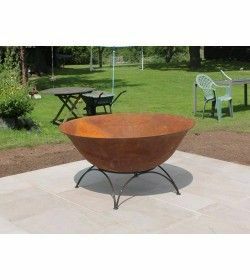 Handmade in stunning cast iron with a simple, rippled effect running around the top of the rime these fire pits are available in three sizes this one is the largest at one metre and 20 centimetres in diameter. 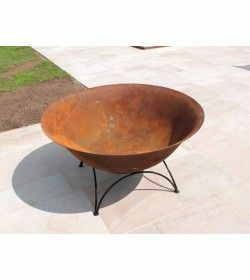 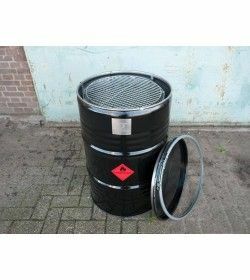 The shaped and painted framework base offers a stable and attractive platform that will stay put whatever the weather – in fact the pits themselves are very heavy indeed.